Lightweight lift-and-roll design with 10″ rubber wheels for easy portability, even on rough surfaces. 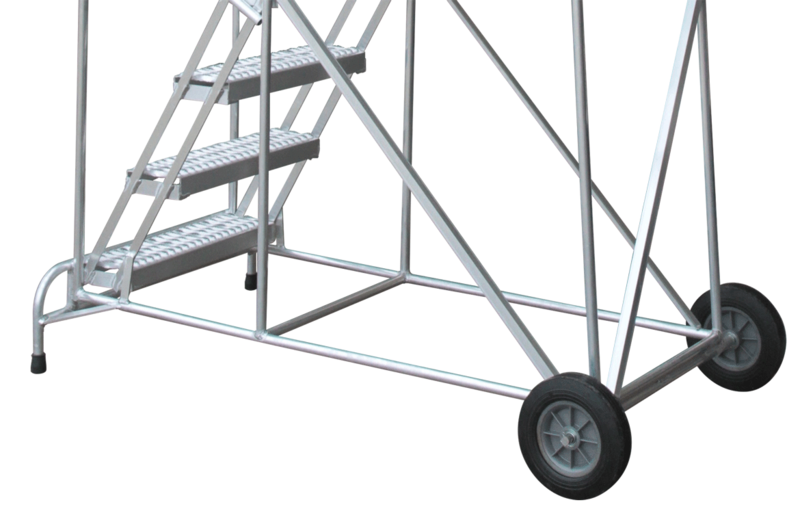 In addition to being lightweight, aluminum wheelbarrow ladders are corrosion resistant and unpainted. 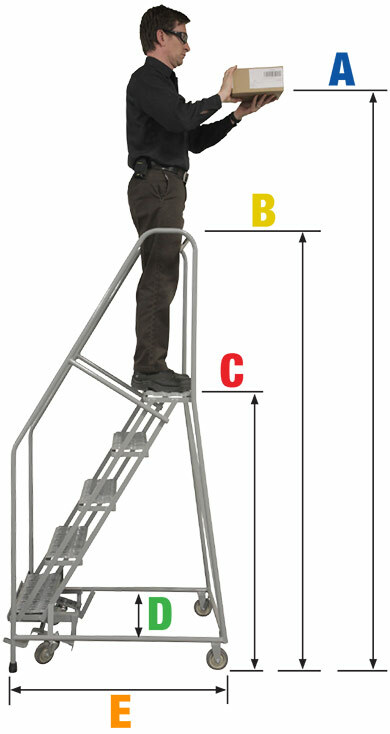 Both the steps and the top step are 16″ or 24″ wide. The steps are 7″ deep. Top step is 14″ deep. 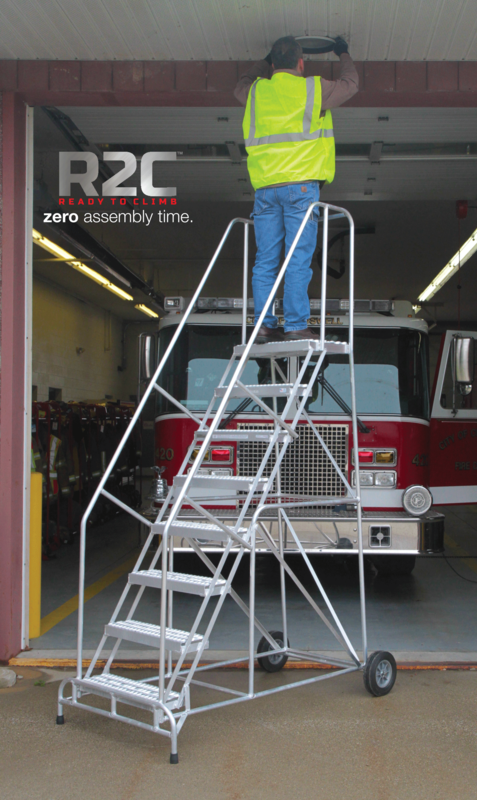 Aluminum Wheelbarrow ladders meet applicable OSHA and ANSI standards. 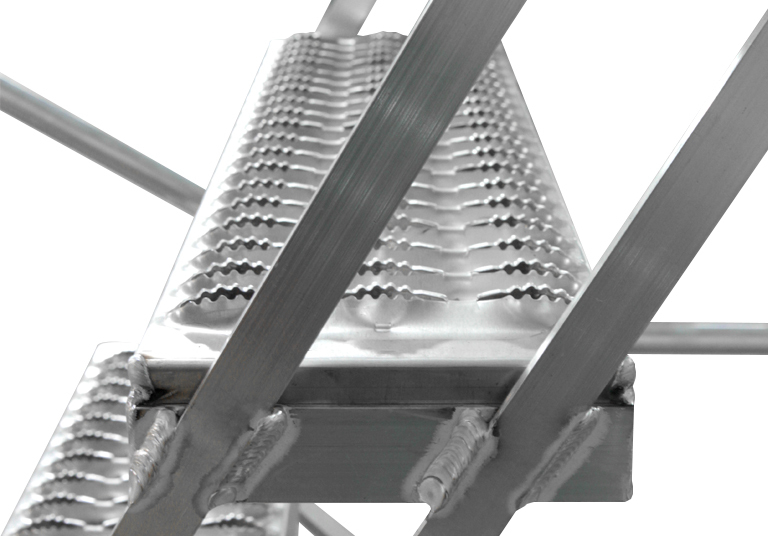 All tube members are 1” aluminum tube construction. Solid aluminum step with non slip, ribbed surface. Large 10″ rigid rear wheels. Provides easy mobility, even on rough surfaces.